I think this week I’ve made up for lost time in the Craft Coop. I’ve managed to make cards and scrapbook memories. 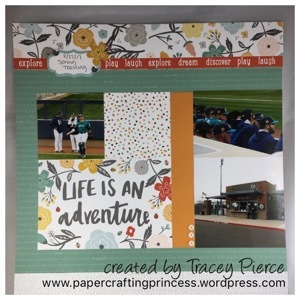 Over at the Heart to Heart Challenge Blog the challenge is to Dream Big – although it’s left to interpretation I chose to use the Dreamin’ Big Scrapbook Workshop on the Go. The fun thing about these scrapbook pages for me is that this trip is scrapbooked less than two weeks after it happened! Now I will admit there was a little last minute push last night to get the photos on the pages before my class today because I wanted to show how fun the papers and layouts are. The Dreamin’ Big Workshop had the perfect theme for our vacation “Adventure”. I’ve been to a lot of places, but Arizona is one state that had escaped my radar. We had a short 5 day trip that was jam-packed with activity including a Mariner’s Spring Training Game. I know you’re going to say Baseball and Flowers and I’m going to say why not? What I really hopes catch your attention is that zip strip with the words, explore, dream, discover, play, laugh. We did all those things when we were in Arizona. Thanks for stopping by I’ll be back tonight with more artwork for the Joyful Stars Blog Hop. If you don’t want to miss any of my posts, why not click the follow button on the sidebar and you’ll get a notification each time I post something new. Great layout! I love how it came together and how well it worked it with the pictures. Wonderful! Thank you for playing along with Heart 2 Heart Challenges (H2H)! So glad you shared this with Heart2Heart…memories you’ll never forget…great layouts. Great layouts! I love how the paper selection brought out the story in your photos. Thanks for sharing with us at Heart2Heart. Looking forward to your next visit to Arizona, especially in Buckeye where the sun always shines…lol. Hey, could you send me the photo you took of the three of us, either email, facebook messenger. 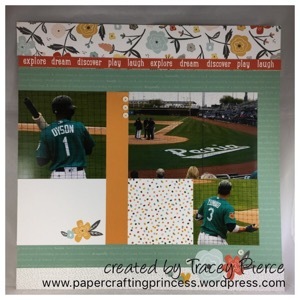 Great scrapbook pages. I can do that…it’s actually scheduled for appearance here tomorrow. Thank you again for your amazing hospitality! Thanks. Wow does that mean we will be in a scrapbook page…lol. Just saw this on Heart2Heart, so glad you joined us this week…please stop by for the other March challenges, some good ones coming up. I just might do that! It was fun meeting you!